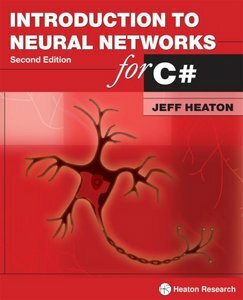 Introduction to Neural Networks with C#, Second Edition, introduces the C# programmer to the world of Neural Networks and Artificial Intelligence. Neural network architectures, such as the feedforward, Hopfield, and self-organizing map architectures are discussed. Training techniques, such as backpropagation, genetic algorithms and simulated annealing are also introduced. Practical examples are given for each neural network. Examples include the traveling salesman problem, handwriting recognition, financial prediction, game strategy, mathematical functions, and Internet bots. All C# source code is available online for easy downloading. Jeff Heaton is an author, college instructor, and consultant. Jeff lives in Chesterfield (St. Louis), Missouri. The author of seven books and over two dozen journal and magazine articles, Jeff specializes in Internet, socket-level/spidering and Artificial Intelligence programming. Jeff has worked with companies such as MasterCard, Anheuser-Busch and Boeing. A Sun Certified Java Programmer and a Senior Member of the IEEE. Jeff holds a Masters Degree in Information Management from Washington University in St. Louis.